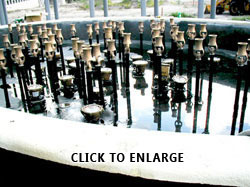 If you are looking for a true commercial quality fountain light, this is it! 18watt 12v DC RGB Color Changing or Bright White are constructed of solid Stainless steel, and will not rust or corrode. Comes with a fifteen foot power cord for connection to your power supply or underwater J-Box. Weighs 6 lbs. 9 oz. 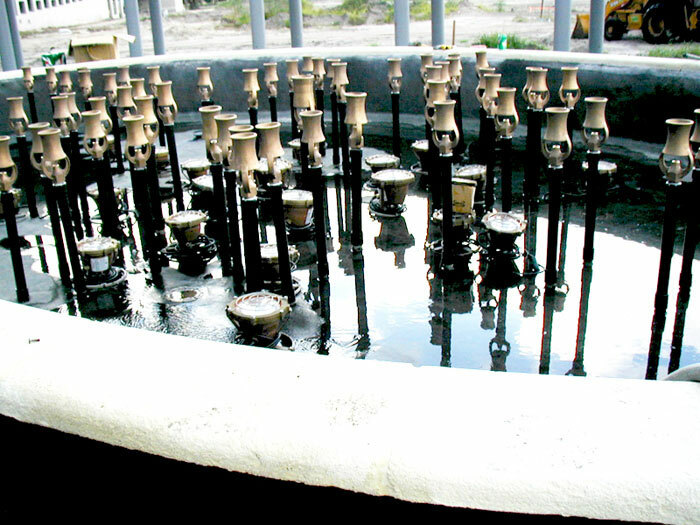 Sits at the bottom of your fountain without being knocked over or floating from water turbulence. 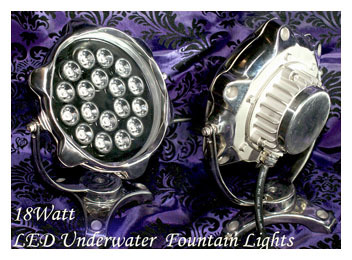 The top of the 18watt light sits 9 inches high on its stand and 7.5 inches wide. Lights are designed to be fully submerged in depths up to 9 feet, with a IP68 waterproofing rating. CE, ROHS certified. For 12 volt DC power supply. Lights can be used in water or above water. The color changing LED's will flow through the color spectrum on their own, without a need for programming, or DMX controllers. Just give it the proper power supply and you are running. If programming is needed please contact us for information on controllers. We generally stock the 18watt RGB LED that can be shipped out within 24 hours.